When a fire breaks out, it’s not always obvious how it started. Not only could the entire structure be wiped out, but items that started the fire could be partially destroyed or altered beyond recognition. That’s the job of the fire investigator: interview witnesses and find clues at the scene that would help them determine how the fire started. “Can you tell us what happened?” a fire investigator asked at the scene of an apartment fire in Juneau. After firefighters doused the fire a day earlier, they put most of the occupants’ wet and smoldering belongings out in the front yard as part of overhaul and salvage of the scene. “This is all of our possessions,” a woman believed to be one of the apartment’s residents said. The couple is agitated and upset, but they continue talking to a fire investigator. The investigator will go inside, look for evidence. Then, he’ll take all the stuff in the front yard and put it back in the apartment. He’ll try to recreate the scene before it burned. This may look or sound like it’s real, but it’s only a training exercise at the Hagevig Regional Fire Training Center in Juneau. Students are questioning instructors who are role-playing the burned out couple. In real life, something like this scene may happen three times a day across Alaska. 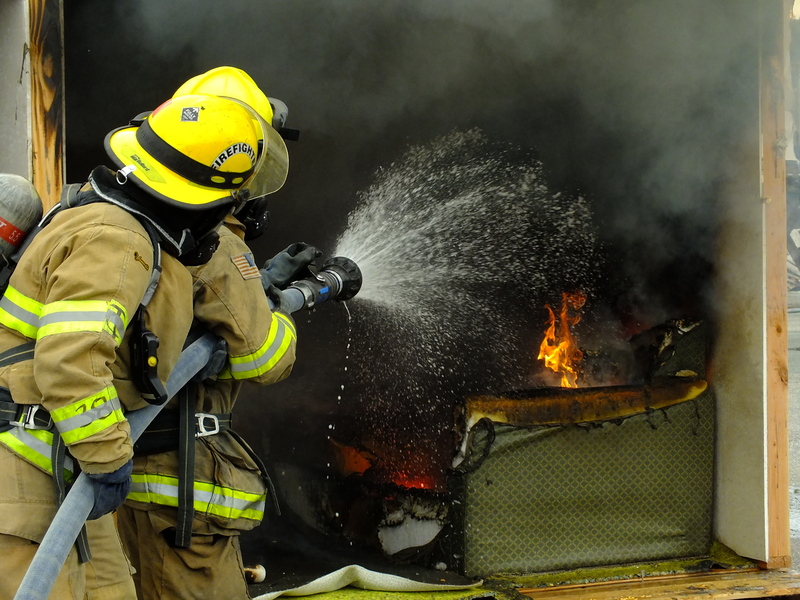 According to the latest figures compiled by the Department of Public Safety’s Division of Fire and Life Safety, there were nearly 1,470 structure fires in 2015 that killed 16 people and injured 83. Total damage estimated at $49 million. As much as 5 percent of those fires were intentionally started. That’s where the fire investigator comes in. They determine the origin and cause of the fire, and whether it was intentionally or unintentionally set. “We don’t call fires accidental anymore because accidental has the connotation that it was not a preventable type of thing,” Ernie Misewicz said. He’s chief of the Salcha Fire Department and president of the Alaska Association of Arson & Fire Investigators. Indicators of an electrical fire, for example, would include a burned or melted electrical outlet that had power to it. “Fire investigation is like learning a new language. Initially, it’s very difficult. But once you start mastering it, it becomes even kind of fun,” John Gamboa said. He’s a retired special agent and fire investigator with the Bureau of Alcohol, Tobacco and Firearms in Chicago. 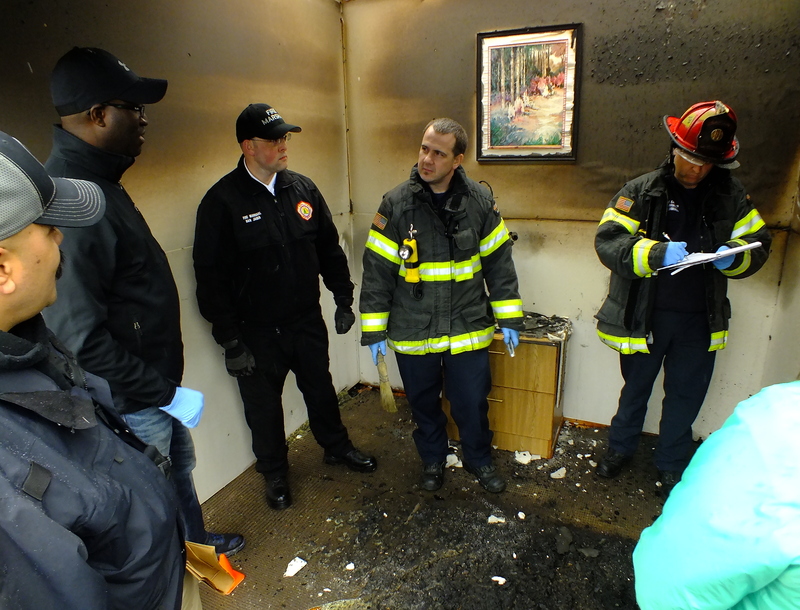 Gamboa teaches new and experienced investigators a variety of subjects including fire behavior, fire chemistry, fire modeling, scene processing and evidence collection. “We teach them a multitude of disciplines so hopefully it’ll make them better fire investigators and they’ll learn from our experience and from other individuals that come here to teach them on how to approach a fire systematically,” Gamboa said. Of course, there’s classroom work. But the training also includes students putting their knowledge to the test. Six rooms are built outside of the Hagevig Regional Fire Training Center. Each room is furnished and stocked with clothes and other personal belongings. A fire is started in each room and then put out by firefighters. Student investigators arrive the next day to figure out happened. 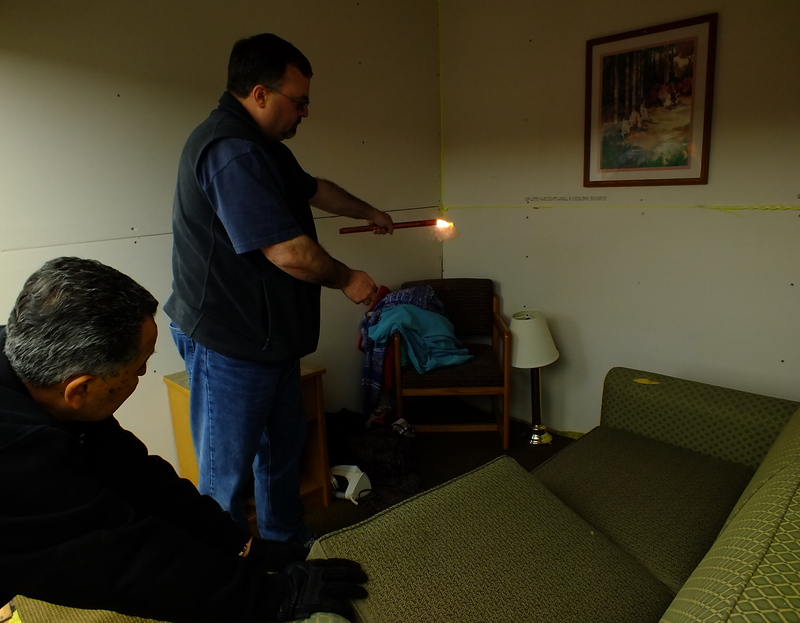 The crew led by North Slope Borough Fire Department battalion chief Mauricio Gueco discover a couch that was doused with accelerant and ignited by a road flare. An end table in the room was undamaged. So, they get a search warrant before opening the table drawer and finding a diary that described how the resident had been threatened by someone. Jason Mardirosian, formerly with the Chicago fire department and the Department of Homeland Security, frequently pulls me aside to interpret the language Gamboa uses, like reading a burn trail left by a liquid accelerant. Or, how a missing picture frame or bookcase can leave tell-tale burn and smoke shadows. “What they call protected areas or witness marks on the floor, to put things back in, and now you start to see how the corresponding damage and fire damage makes sense to lead back to where the area of origin is,” Mardirosian said. Remember the couple who got burned out of their apartment earlier? After looking at burn patterns, students determined everything was piled up in the center of the room before the fire started. A small plastic garbage bin had melted into the framework of a chair. “What could an insurance company budget do to this if we have a solid molten mass like that?” an instructor asked. “Package the whole thing up and take it to their lab” one of the students answered. Was the fire started to conceal a crime? Hard to tell right now. Hopefully, the investigator’s report will be thorough enough to allow prosecutors to get a conviction. 40 students from around Alaska participated in the training. Some of them, someday, may be trying to figure out how that fire started in your business or home.